October 12, 2018 6:34 pm. Epsom Handicap contender Lanciato is one of three G1 runners for trainer Mark Newnham at Randwick. During a career in racing spanning more than three decades, Mark Newnham has had an association with many big-race winners. 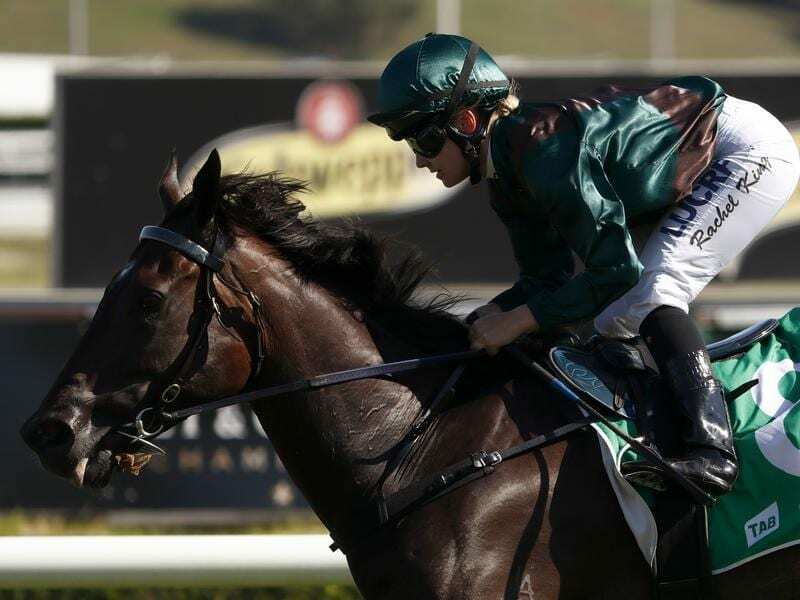 But as a trainer in his own right for little more than two years, Saturday’s Epsom Handicap meeting at Randwick shapes as an important day for the horseman. Newnham will saddle up five horses across the meeting including Epsom contender Lanciato and Flight Stakes hopes Maid Of Heaven and Nakeeta Jane in Group One races. The former jockey and long-time member of trainer Gai Waterhouse’s stable is striving for his first Group One win as a trainer. “We only had our first runner just over two years ago so I’ve got to keep reminding myself of that,” Newnham said. “Naturally I’m impatient to win a big one. Newnham, who has stables at Warwick Farm and Randwick, also has runners in two support races including two-year-old colt Exceed The Stars who is favourite to make a winning debut in the Breeders Plate. “I haven’t had five runners on any day, let alone a big day like this,” Newnham said. Lanciato gets into the Epsom with 52kg and has been aimed at the $1 million race with Newnham mapping out a program for the gelding to be third-up with four weeks between his races. He stormed home for fourth in the Missile Stakes in early August then finished eighth in the Tramway Stakes on September 1. “Tramway day his fate was sealed with a 10-metre rail position,” Newnham said. “It just didn’t allow for horses to get back and run on out wide. Importantly he has been thrilled with Lanciato’s lead-up work including a barrier trial last week. He is hopeful from an “ideal” draw in barrier six that Lanciato can get the right run and be produced for the last crack at them in the straight. “He’s in the right shape. It’s now a matter of whether he’s good enough,” Newnham said. “I think he’s a genuine chance. “Judging by his only Group One run, he went fantastically well in the Doncaster (seventh) on a day when it was hard to make up ground.